I love that we keep finding new uses for the spaces we have on our property. Just behind our house we have a detached garage. It wasn't long after we moved here that we realized it wouldn't work for us as a car garage. Jason's truck is lifted too high to fit inside. 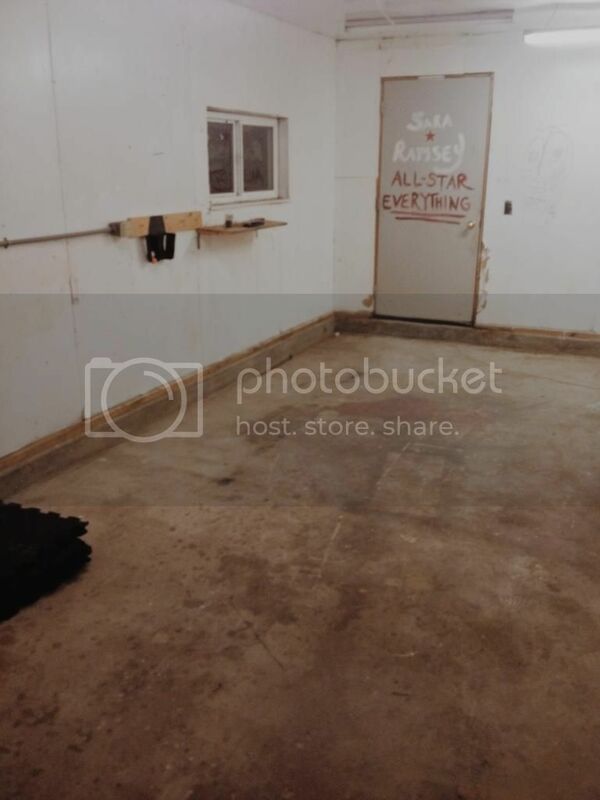 So we wanted to find an entirely new use for this garage space. Jason and I are both into fitness and our combined fitness equipment makes for a nice a home gym. 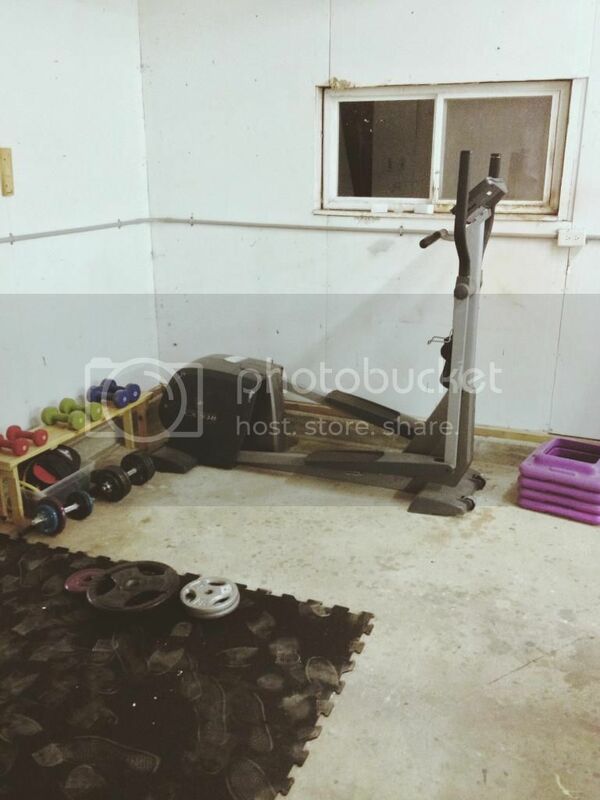 Originally we were going to have the gym equipment use up the whole space in the garage, but then I noticed that it would be able to fit nicely into the small side room that is attached to the garage. 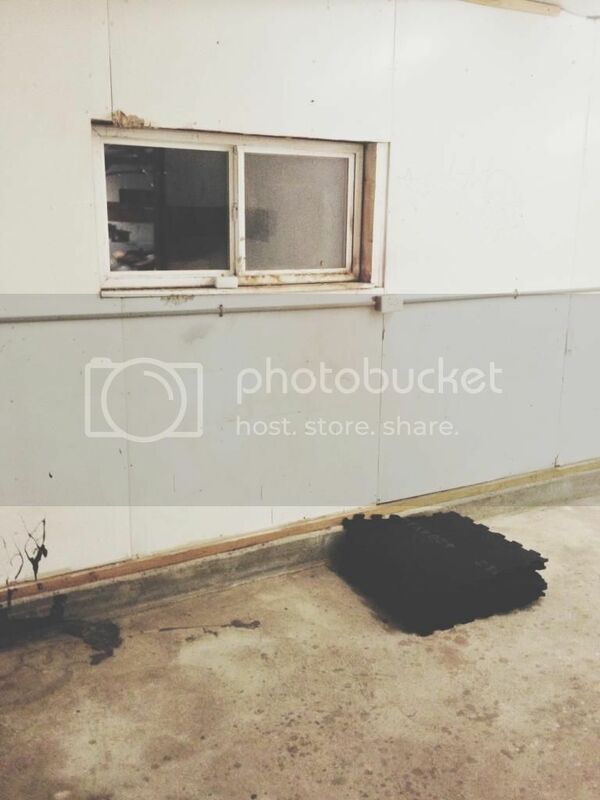 We have plans to make our own furniture, and the garage is the perfect size for a wood shop. 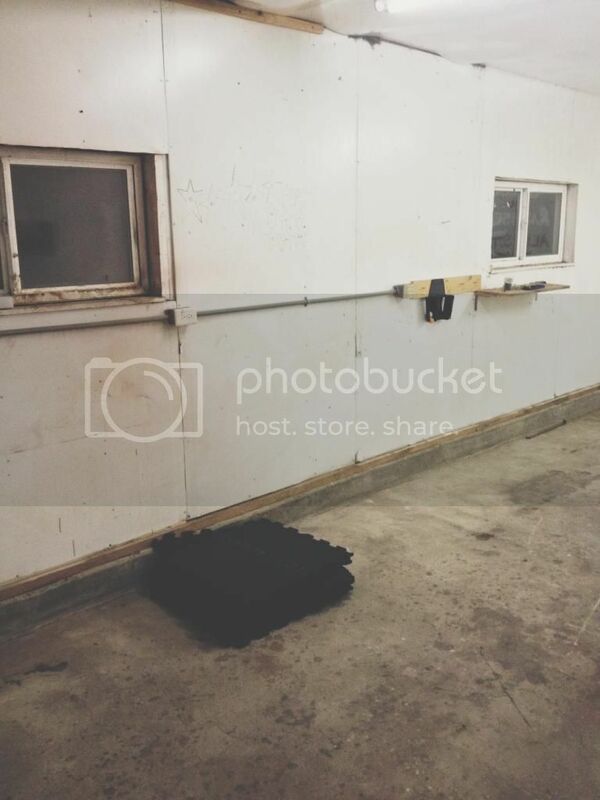 Last night we decided to take our scattered gym and move it into this new space. Before, with the rubber mats we have so far, ready to be laid out. The original owners of the house did wood working in the garage as well, and used this as the painting room. So there's fun and exciting paint splatters and writing on the walls. It was a family business that they had, and you can tell that parent and child alike had spent time making art on the walls. It makes it feel "homey" in a way. Like the people before us have laughed and played (made evident by the ping-pong ball holder attached to the wall) and like it was well-loved while they had it. Maybe when I work out I can pretend my name is Sara and Jason's name can be Ramsey. Motivating? Look, it's Ramsey laying out my tile! This is how it looks now! We have plans to have rubber tiles throughout the entire room eventually, but for now this will do. We also got two sets of closet mirrors to make the gym look really snazzy. This is the giant monkey-bar contraption, bench, and seat (in the far background) that Jason contributed to our gym. We have rubber mats laid down here and two mirrors in front. This is the elliptical I had at home before we got married that we put next to a window to make life a little less boring on that thing. This is also the area I set up for free-weights. To the left of the mats on the floor stands the other set of two mirrors. Those mirrors are on the wall perpendicular to the giant monkey bar machine, so you can see what you're doing from the front or side while you're working out on that large contraption. 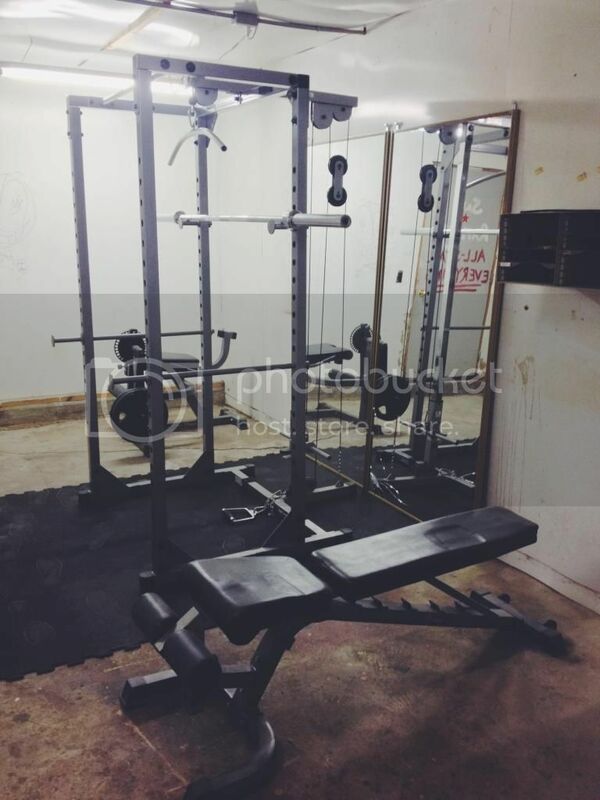 It's still a work in progress, but as far as I'm concerned, it's a working gym and I'm excited to start using it! *Only one fluorescent light bulb was harmed in the making of this gym. You should constantly put a cost to your time, always. Consider what is the maximum you earn in one hour while working.